It's easy to get set in your ways. For a few years now I've been fishing for perch with paternostered livebaits. 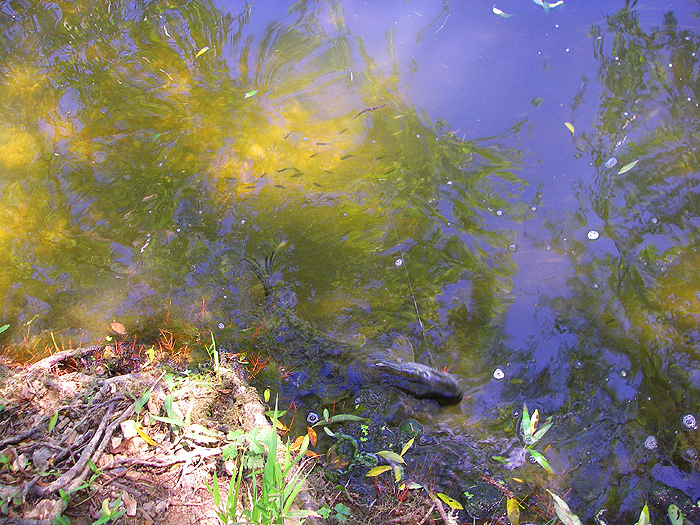 Minnows are the easiest to catch for bait but I always hanker after something bigger. Anyway, my approach is much the same I use a size 6 circle hook on a short wire anti-pike trace a few inches above a 5-15g weight, lip hook the bait, lob it out, feel for a bite, tighten and reel in the catch. 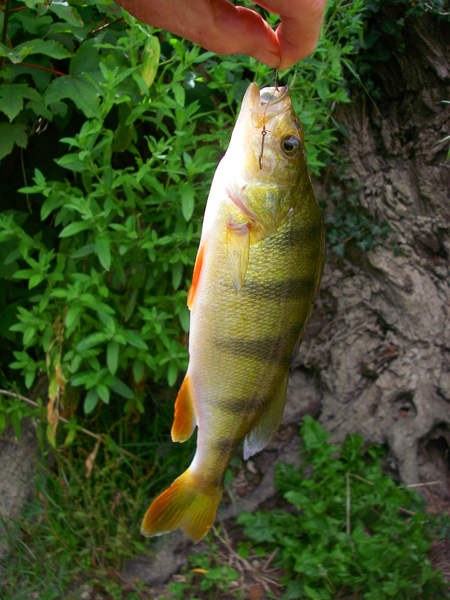 The other day I decided to try with some larger baits to see whether I could tempt larger perch. I caught a few bleak and small roach on float fished single maggot then I went to a weir pool that often produces perch. Out went the first bait and within minutes I found myself playing a pike. The fish fought very hard but was no match for the gear so it was soon close enough to have its picture taken and to be unhooked and released. "That's got rid of the pike!" I thought but no, next cast I was into another of about the same size which again was realeased. A couple of casts later I hooked another hard fighting fish but this time it was fighting with a series of tugging pulls, typical of a decent perch. Unfortunately, before I could get a look at it the fish wrapped me round some under water branches and took the opportunity to escape - what a downer! The palaver I had trying to get my gear back from the depths put the fish off and after fifteen minutes without a sniff I moved downstream to a little slack area. On my first cast a perch of perhaps 300g followed the livebait in almost to my feet but it clearly didn't like the combination of big bait and wire trace because I couldn't get it to take. Five minutes later another smaller perch again refused my offering. At this point my will weakened and I decided on a change so I released the couple of larger baits I still had in the bucket and set about catching some minnows. I soon had a few decent bait sized minnows but when I tried them the perch seemed to have gone so I set off walking downstream to try and find other spots. It wasn't easy. Head high vegetation clothed most of the banks, it was very hot so my short sleeved shirt wasn't much protection against stinging nettles and the only places I could find to fish were quite shallow and not very 'perchy'. I decided to remove the lead and try freelining the minnow across the shallows - relatively easy with fine braided line. First cast I had a bite. I could feel every twtch through the braid and I waited but the line was dragging in the current and the fish, whatever it was, dropped it. I cast again. Another bite but again the culprit dropped the bait. Every cast I was getting bites but I couldn't hook them. 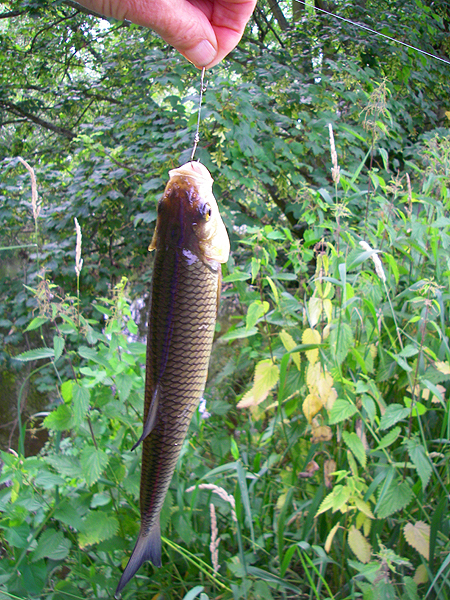 The fish in question appeared to be small chub of about 300-400g but this was a bit of a challenge. I tried giving slack and waiting but the result was just mashed up minnows and nothing hooked. After a dozen or more bites I was becoming frustrated. It was obvious that the fish were taking the baits and swallowing them tail first because the back ends of the minnows were invariably crushed by the throat teeth of the predators. I suppose I could have tried hooking my minnows at the tail end but instead I opted to tie up a little pennel rig of size 8 Jhooks. 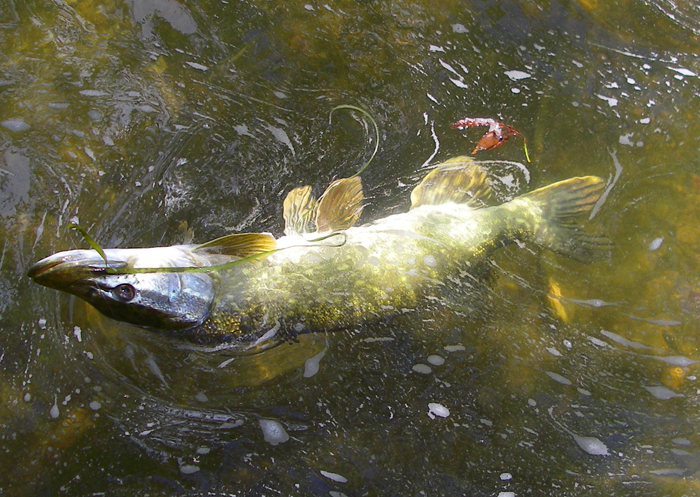 I didn't bother with wire because I could see that there were no pike in the shallow run and it was easier to tie the hooks to nylon.First cast, a bite, a strike and I was in. I could hardly have been more pleased if it had been a record fish. After so many missed bites to hook and land one felt like an achievement. At this point a family of swans moved into my patch so I shifted upstream. At the next spot, using the same rig I had two more small chub and a perch. Interestingly, although the chub were all hooked on the 'tail' hook the perch was on the lip hook. Anyway, despite the fact that I didn't catch anything of size I was really pleased with the result and perhaps next time I'll try freelining with some slightly bigger baits.